Productivity and walking in your purpose daily doesn’t have to be a frustrating and overwhelming experience. That is why I’m excited to introduce a new way to keep you organized, focused and living in your purpose daily. Whether you’re a professional, an established entrepreneur or a blogger The Purposeful Living Planner will help you get organized and map out 3 months of purposeful living. The Purposeful Living Planner is an all compassing organizational quarterly planner that… motivates, prioritize self-care, declutter, meal planner, cash-flow log, and also serves as a keepsake with your ideas and reflections. It’s the only quarterly planner of its kind where you actually picture your year in a quarterly execution cycle to avoid the pitfalls of low productivity, and instead redefine your year to be 3 months, increase clarity and focus while avoiding complacency. When you get to the end of the 3 month year, your year resets. The Purposeful Living Planner is 170 pages high-quality durable paperback print, with the ability perpetually re-print your planner to restart each 3 month year. Make every day purposeful with a clear path to achieving your goals and dreams. 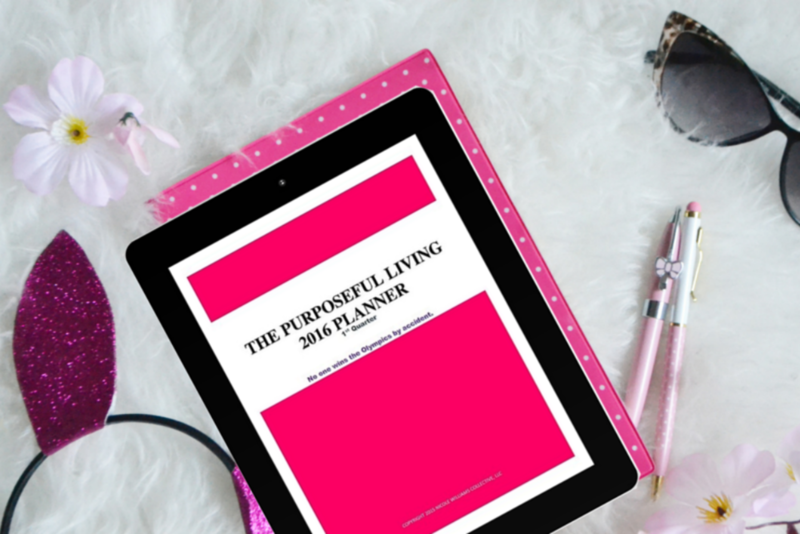 Order your copy of The Purposeful Living Planner today!